Spiritual Counseling/Mentoring, Intuitive Readings, Relationship Healing and Guidance, Soul Path Readings, Spirit Guides, Psychic Readings, Connecting to Your Intuition, Chakra Reading & Balancing,Reiki Healing, Spiritual Vortex Tours, Sedona Sedona Psychic and Intuitive Development Certification Workshops. Seeking answers to your life’s most important questions. Looking for the right relationship. Need help in moving to the next level in your career. Searching for answers on how to find balance in your life. Does your relationship need rejuvenation, communication, a deeper connection. Yearning for a nurturing experience of your mind, body and soul. Looking for time out on the land to regain wholeness and balance. Looking to clear away the past, so you can live more in the present. Am I on my right life’s path? Do I have a spiritual guide? Who are they? How do I get in touch with them? How do I know what the right spiritual path is for me, what steps should I take to develop it more? How do I deepen my connection to my higher self and God Source? How do I develop my intuitive and psychic abilities? Why is it I have a hard time in creating what I want in life, I feel blocked in moving forward, not sure why or how to remove my blocks? Why am I am feeling depressed, how can I become free and happy again? How can I feel more balanced in my life. How can I become more relaxed and peaceful? What challenges and lessons did I come here to experience and work on? What are my Karmic lessons I am working on? Schedule a session with me, for answers on all these topics, to find insights, clarity, and direction! Sessions are from 30 minutes to 2 hours depending on the depth of your interest. Half day or whole day trainings and healing can be schedule for an individual or a group. You can choose to experience any one of my healing modalities or combine them for a deeper healing experience. I offer light hearted readings or sessions on a deeper level, insight into your body/mind/emotions and spirit. With Premala who works with me, you can enjoy a Reiki healing session or a vortex tour on the land. 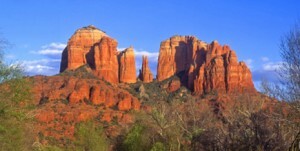 Sedona has been known to many as a place of healing, this is due to the energies that exist here in Sedona. Some say that what ever is going on in one’s life on a mental, emotional level, will be intensified here is Sedona. If you need physical healing that can happen as well. This is due to the red rocks, some are known as vortexes, they have a high level of electromagnetic and magnetic energies that can affect us on all levels; the physical, emotional, mental and spiritual. Many healers have been drawn here to live and work, and others come here to visit specifically to receive healing and to spend time in the red rocks rejuvenating. Visiting Sedona can assist you in your healing on all levels. In my Spiritual counseling session I use a number of techniques that I have trained in over the years that support you in deepening your connection with God/Source/Spirit and working with you at your Soul level, asking the questions and exploring why did you come here? What are your lessons, challenges? What is your life’s purpose? I will guide you to get in touch with yourself at your core center of who you are, helping you to bridge the outer part of you, physical body, mental body, with the inner soul body, energy body, so that you will feel a sense of wholeness and oneness. In your session I help you to become aware of any blocks you may have, that create the barriers from you being fully present and creating what you want in life. I will provide for you and guide you through techniques to help you to understand and release these blocks, to accomplish what you want, so you feel a sense of feeling balanced and peaceful in creating a life worth living. steps in life, help you to find clarity, and to make clear decisions in work, relationship, fiances, stress relief and spiritual development. Guiding you step by step I can also help you to clear away old self limiting and defeating beliefs that get in the way of your success. This ‘Inner Knower Process’ I created over 12 years ago, after working with thousands of clients. Through my connection with ‘Higher Source’ I was given the phrases and guidance to help others go deeper into themselves through their session. Using this process I can guide you into connecting to the core of your intuition, that will help you to use your own intuition and higher senses to know your next steps in life, decisions you need to make as well as to clear away any self limiting or defeating beliefs that hold you back in life. Sedona Reiki Healing is an amazing body and energy alignment session. Balancing you on the emotional, mental, spiritual and physical levels, when given by a Reiki Master. Chakra Reading and Balancing offers an opportunity to release stress, emotions, thoughts and feelings, that you are holding in the body and mind, allowing you to come back to your true self. Having a session in balancing the chakras can bring a tremendous amount of peace and sense of well being, which can help you to take the time and effort to go into yourself to see what are your most important choices and decisions that need to be made. Take away tools to balance and work with your own chakras. As a psychic I work as an empath, clairsentient, and clairvoyant, my psychic abilities allow me to see into your energy on different levels. I can tune into your body and sense and see where energy is trapped and not moving freely. Through a variety of techniques, I can help you to release these blocks in your Chakras, aura and energy field, that are being created from the mental, emotional, and physical body. 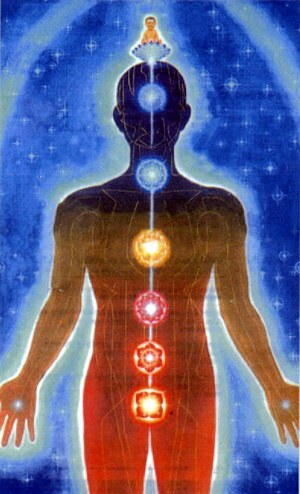 Our Chakras can also be affected by others’ energy and the environment. 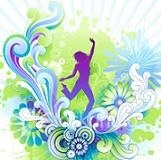 It is only when energy moves freely that we can truly experience the joy of being alive. By moving into your heart center, connecting to your intuition, and higher knowing you move to the core of knowing and living who you are. Working with your Chakras and becoming aware of who you are on a deeper spiritual level can create the potential for being a healing life-changing experience. After their sessions clients get in touch with me over the phone or come back to me in person, and share that their Chakra reading and balancing, psychic or spiritual reading, has been a catalyst in changing their lives, creating rejuvenation and renewal of their Mental, Emotional and Spiritual Body. Schedule yourself a personalized and customized 1/2 day or full day package with me, Nirup and Premala, this can be customized personally for you. Or if you prefer you can schedule yourself to be part of a small group experience. Coming together in a group provides the connection and support of being with others of like mind, enjoying new connections and making new friends. You will have the chance to learn and experience, meditation, chakras, developing intuition, meeting your guides, and more. The classes will be created with various themes in mind, depending on the interests of the participants as a whole. In a group setting I will create an atmosphere of insightful acceptance, allowing and encouraging the participants to share and open their hearts. Through this opening, profound transformation and a new joyfulness can arise within each one of us.